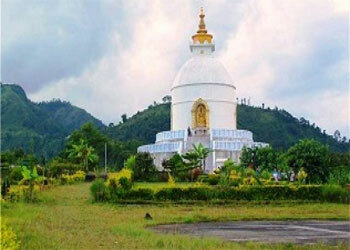 Honey Hunting Tour is one of the very adventurous Tours that includes the amazing and surprising scene of Nepal with it. 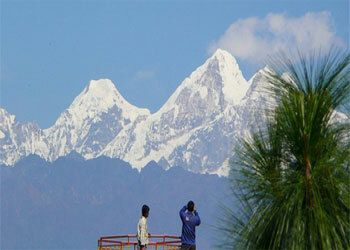 Nepal is a rich country in honeybee and is a better place for the honey hunting. There are at least five different species of Honeybee in Nepal. The wild honey bees make the beehives hanging on the rock. This tour can be a challenging tour for those with knowledge of rock climbing and are brave enough to take the risk. With honey hunting, there is the chance of viewing and experiencing the traditional honey harvest of Gurung people. honey hunting is a tradition twice (spring and autumn) a year to collect the wild honey from the hive hanging on a rock hill. The traditional way of honey hunting is taken as adventure tour in the world. The honey hunters are a tribe of Mongol in Nepal who follow the tradition of honey hunting, a tradition passed down since generations. The honey is taken as the main source of sweets in ancient time when there was no sugar produced. 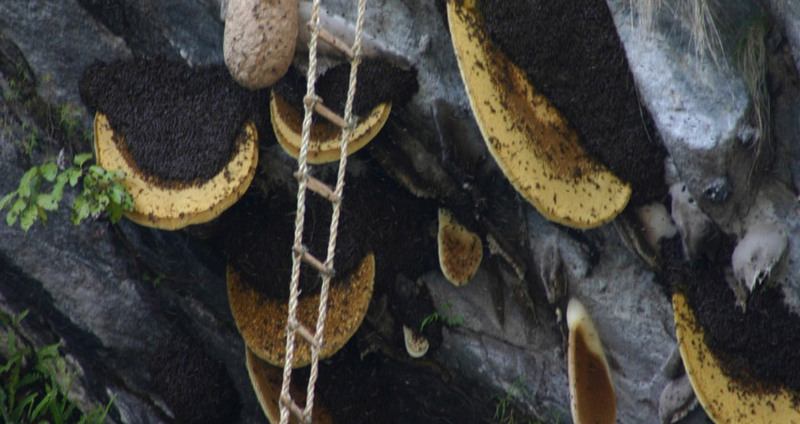 Extracting honey from rock bees that live in steep slope is an age-old tradition of some of the indigenous Nepali communities like Gurungs and Magars. Among many mountain cliffs in Nepal, the Budhi Gandaki valley in Manaslu region and the Cliffs in Annapurna region have a notable presence of wild bee which makes hive on the vertical slopes of these cliffs. Hunting cliff honey is a dangerous activity and most of the cliffs are named and remembered by the names of honey hunters who died during honey harvesting. 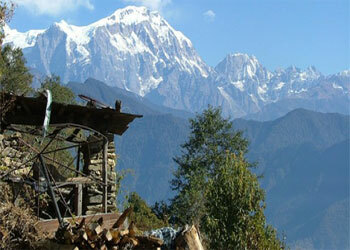 Honey hunting tour can be taken as a very old tradition in the mountain areas of Nepal. In the past, people used to organize religious ceremony before collecting honey to protect themselves from the attack of honeybees and any misshapen. The locals celebrate the honey hunting as a festival by offering flowers, grains, and sheep to the God before hunting. The worship was organized also to respect the hard work of honeybees and their contribution to the survival of human beings. Everyone is thrilled to watch honey hunters at work. It is undertaken by experienced villagers who hang from cliffs as tall as 300 m with the help of homemade ropes and Bamboo ladders. The lead honey hunter collects honey in the bucket from the beehives and passes down to another person. This wild honey was used for a medical purpose which still exists and has medicinal value with a great deal of money in the international market. Transportation: Good Condition Private Car/Van depends on group size for the tour with a good driver, for long drive Tourist Bus. We will meet you at Kathmandu Tribhuvan International Airport and transfer to your hotel. When you have had your time to settle in and freshen up after your long fight, you will be invited to visit our office for a briefing about your program. You will have meeting with your guide and discuss about the equipment needed for the trekking. If you arrive at night we will have same discussion in next day morning after your breakfast. Day 03: - Kathmandu drive to Khudi overnight at guest house. Today after having breakfast you will drive for your honey hunting tour. After 4 hours drive from Kathmandu you will arrive at Vimal Nagar where you can visit Siddha cave (the biggest cave in Asia). Then from here, after driving about more 3hrs you will reach Khudi village. You’ll be heartily welcomed by the villagers. At evening have a slide show program about the bee hunting. This is the point from where you start trek for Honey hunting village site. Today you trek for six to seven hours for Honey Hunting site. On the way, you view many natural scenes n the way. 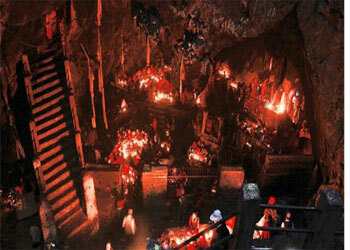 Today you enjoy thrilling honey hunting program at cliff. Honey hunter pray before they start. After you enjoy the honey hunting program, return back to base camp village. Today you’ll retrace your path back to Khudi. On the way, the stream invites you to swim at natural swimming pool. You go evening walk at Bank of the Marshyangdi River and Khudi stream. Drive back to Kathmandu with a journey of about 7 hrs drive. Transfer to your hotel and spend your leisurely time.